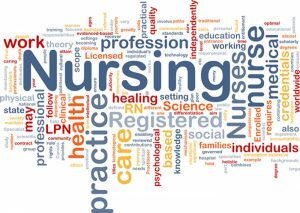 Nursing generally is defined as the process of caring for, or nurturing, another individual. Nurse refers to those persons who have had formal education and training in the art and science of nursing. Professional nurses combine many different disciplines, including aspects of biology and psychology, to promote the restoration and maintenance of health in their clients or patients. A a critical member of the healthcare team, nurses provide care to patients, monitor the patient’s health status, provide health-related education to the patient and family, and serve as a patient advocate. If you are a someone concerned with health and well-being, have a desire to help others, and an interest in the functions of the human body in illness and health, nursing might be just the profession for you! In addition to a caring spirit, you need keen observational, decision making, and communication skills in order to care for your patients. Not only will you be called upon to provide hands-on patient care, you’ll also frequently need to use complex medical equipment. You must be able to give and follow directions, and be a “team player” in the health care environment. Often you may need to direct or coordinate the work of other health care providers which demands both leadership and management skills. The nursing profession is demanding and can be stressful, but the rewards are also great. Learn more about nursing by visiting each of the tabs below! There are two major categories of nurses: Licensed Practical Nurses (LPN) and Registered Nurses (RN). 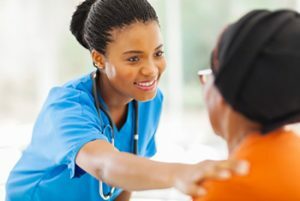 LPNs often work in a doctor’s office or clinic, long-term care facilities, and hospitals. They must be supervised by either a Registered Nurse or physician. LPN training is usually a 12-month program through one of our Tennessee Colleges of Applied Technology located throughout the state. Following graduation, students must successfully complete the Practical Nurse Licensure Exam (NCLEX-PN) in order to obtain their LPN nursing license..
RNs provide and supervise patient care delivery in many healthcare settings. They have critical roles in hospitals, clinics, health departments, surgical centers, physician’s practices, long-term care, rehabilitation care, insurance companies, school systems, and employee health in many industrial settings. Tennessee colleges and universities offer Associate and Baccalaureate degree programs that lead to licensure as an RN by successfully completing the Registered Nurse Licensure Exam (NCLEX-RN). 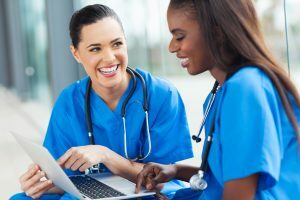 Advanced practice or graduate degrees such as a Master of Science in Nursing (MSN) and a Doctor of Nursing Practice (DNP) offer RNs the ability to further specialize in some aspect of nursing practice, research, or nursing education. These educational programs are usually pursued after an RN has practiced for a period of time and determined a specialty area of interest. 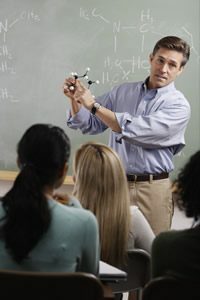 Graduate programs will vary from two to four years in length depending the ability to attend school full time or part time. 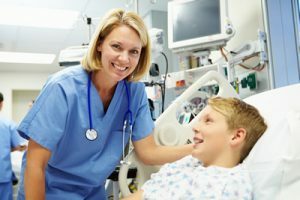 If you are considering a career in nursing, ideally your should plan your high school education to include courses in science, math, and health. If you are considering the RN role, you should choose the additional “college prep” courses. If you are a high school student thinking seriously about a career in nursing, you should talk with your high school guidance/career counselor. 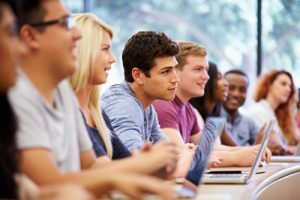 These professionals are prepared to assist students in developing a plan of study that will meet typical nation-wide requirements for colleges and universities. Health studies – 1-2 years (basic knowledge of health care/maintenance principles are helpful). If you already have a good idea or know which college or university you want to attend, contact that admission office and the school of nursing for more specific high school requirement guidelines. Your high school counselor can help you locate the contact information or you can go to Choosing a Nursing Program. Professional Nurse Management, Leadership, Nursing Research, Nursing Theory and Nursing Issues are offered at varying levels dependent upon the degree sought (Associate, Baccalaureate, or Advanced Practice). Be sure and check with the school or program that you choose to attend for more detailed information on the courses you will take! The U.S. Department of Education Financial Aid offers several opportunities to help fund your education. Stafford Loans are subsidized loans awarded on the basis of financial need. You will not be charged any interest before you begin repayment or during authorized periods of deferment). The federal government “subsidizes” the interest during these periods. An unsubsidized loan is not awarded on the basis of need. You’ll be charged interest from the time the loan is disbursed until it is paid in full. Local and state civic organizations as well as businesses often have scholarship monies available for nursing students. Contact your area Lion’s Club, Civitan Club, Rotary Club, and DAR (to name a few) for local and state scholarship opportunities. Businesses such as Target, WalMart, Wendy’s and McDonald’s (among others) may also have limited scholarship resources for education. Many healthcare organizations also offer scholarship/grant opportunities to individuals who are pursuing nursing education. Be sure and check with local healthcare facilities to determine what opportunities may exist in your community. The Johnson and Johnson Discover Nursing website has a Nursing Scholarship search tool that provides information about many competitive nursing scholarships. Each college or university has a variety of funding resources available to students. 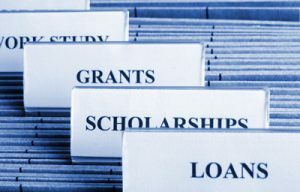 Be sure and explore the financial aid links for any school that you may be considering to determine what specific scholarships, grants, and/or loans are available and how to apply for financial assistance!